What a beautiful ball of joy this is! I've seen Eos floating around the blogosphere for a while now and always wondered where in the UK you can buy them from. I've still never found them in the UK but I ordered mine for the bargain price of £2.40 from the wonderful site that is My Pretty Face Place. This is my second time ordering from them and I'm so happy with there service, considering you only pay around £5 shipping and it comes all the way from America my parcel was here in under 2 weeks! I chose Strawberry Sorbet as I love anything strawberry scented and i'm not disappointed. The scent is super strong but not in the slightest bit off putting, it's good enough to eat. The scent transfers to the lips and lasts for a couple of hours which is a really nice trust. The ingredients boast Shea butter, Vitamin E and Jojaba Oil meaning that these lip balms are super moisturising and hydrating on the lips. The packaging makes them perfect for traveling, the pink hardware is really sturdy so there's no need to worry about it cracking in your bag. I also love that you apply this straight to your lips alas Miley Cyrus! I hate lip balms that you apply with your finger as it's so unhygenic, especially if you're on the move. 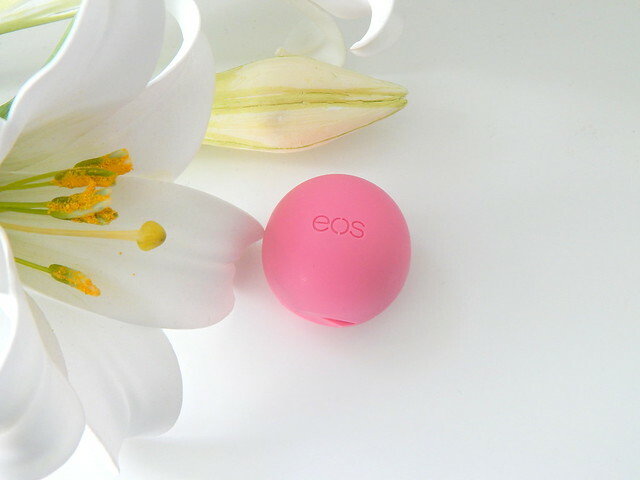 Have you tried an Eos lip balm? Thanks for the review! I do love these, since they are perfect for traveling and it's so hard to lose these. I am always losing chapsticks, but not these! Thanks for linking I've been wanting to try this for ages! Great review! 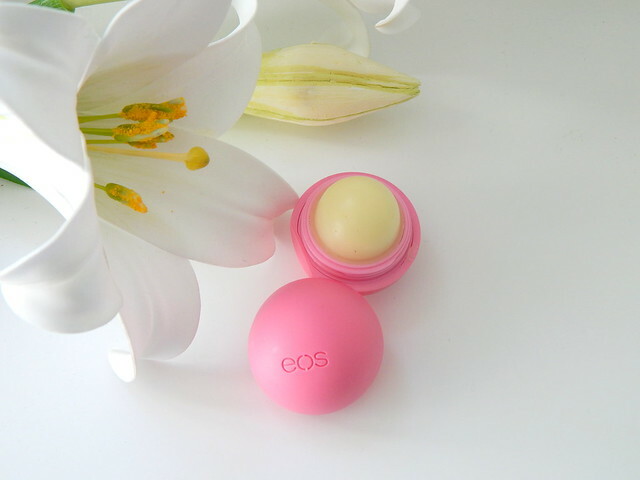 I bought a pack of the eos balms off Amazon last Summer and love them! The my favourite is the mint one but I really want to try the honey balm!